I'm trying to read more ebooks since the bookshelves at my house are groaning, but I will never stop adding new titles to my reading list on Goodreads. 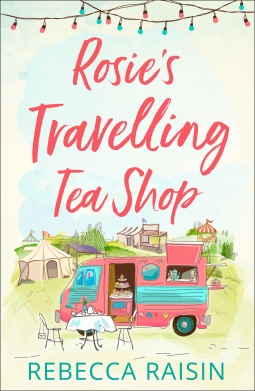 In fact, I've just started a list of tea-themed books to help me keep up with the new tea titles as I read them. 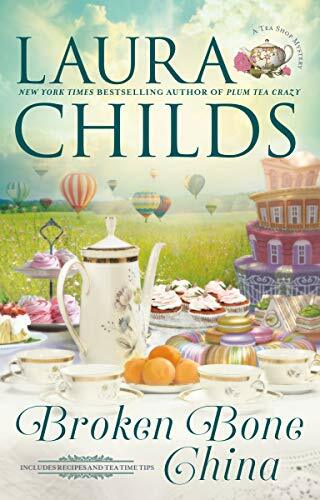 Since I've learned that quite a few new tea-themed novels will be published this year (one of these is actually already out), I wanted to share a few titles that you may be interested in as well. And unless you absolutely hate a book, please don't forget that the nicest thing you can do for an author is leave a review! 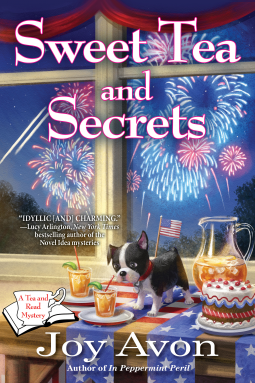 Sleuth Callie Aspen wants to light up the Fourth of July tea party by solving a celebrity’s decades-old disappearance, but her digging results in more fireworks than she expects. Last Christmas, Callie Aspen left her tour guide job and settled in Heart's Harbor, Maine. Now, she helps out at Book Tea, her great aunt’s vintage tearoom, where each treat has a bookish clue. Though she’s excited to start her new life, Callie worries she may regret having burned her bridges behind her. Fortunately, she finds immediate distraction in the preparations for a spectacular Fourth of July tea party, which will recreate key moments from the town's rich history. 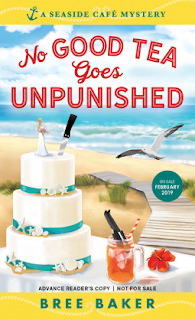 Intrigued to learn that 1980s TV star Monica Walker was last seen in Heart's Harbor before she vanished—allegedly to elope—Callie probes the townsfolk for information. She’s stunned when several locals share contradictory stories about the last day before Monica's disappearance. Did she intend to leave her hit TV series? Was she being stalked by her ex? And why is the newspaper editor who investigated the story at the time so anxious about the cold case heating up? When one of the talkative townspeople turns up dead, Callie aims to catch the killer. But it’s no picnic: Deputy Falk doesn’t want her meddling, and the locals suddenly know more about the past than they’d been at liberty to admit. 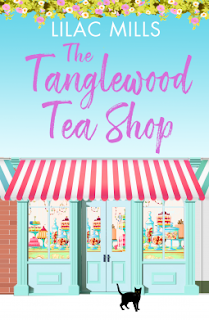 If Callie and the Book Tea crew can’t crack the case, they’ll pay a very steep price in Joy Avon's explosive second Tea and a Read mystery. Rosie Lewis has her life together. A swanky job as a Michelin-Starred Sous Chef, a loving husband and future children scheduled for exactly January 2021. ​But what happens after your dreams come true? It turns out that life in the village isn't as idyllic as it may have seemed. With local mums waging war against sugar, a tea shop and its patisserie-chef owner are definitely not welcome. She’s gone in search of happy memories. But was her idyllic childhood in India an illusion? 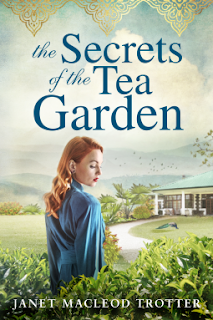 After the Second World War, Libby Robson leaves chilly England for India, and the childhood home where she left her heart—and her beloved father, James— fourteen years ago. At first Libby is intoxicated by India’s vibrant beauty: the bustle of Calcutta, the lush tea gardens of Assam. But beneath the surface a rebellion is simmering: India is on the brink of Independence, and the days of British rule are numbered. As the owner of a tea plantation, James embodies the hated colonial regime, and Libby finds herself questioning her idealised memories—particularly when she meets the dashing freedom fighter Ghulam Khan. As Independence looms, life in India becomes precarious for Libby, James and even Ghulam. And when James reveals a shameful family secret, Libby is forced to question her past—and her future. 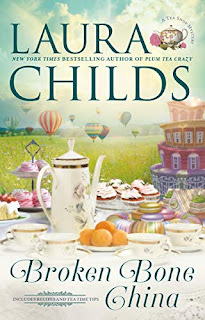 Thanks very much for that list of upcoming tea novels! I will be on the look-out for those in my library system. Once my system has ordered a book, it goes onto their website, and I can put it on hold and they will notify me when it's ready for me to pick up. I don't read e-books, so I either buy a book or get it from the library. If you could see my apartment, you'd know that I buy lots of them! But I only buy ones that I know I'll re-read, or pass on to my sister, or that I want to keep for reference. I'm certainly looking forward to reading YOUR novel when it comes out! And I'm glad you put that in about reviewing books--I will keep that in mind. I've only written one on-line review--on Amazon, for a friend's novel. I will try to do more now, since you recommend it. I see a couple I really want to read on your list. Thanks!